Support the show, consider donating: BTC: 1CD83r9EzFinDNWwmRW4ssgCbhsM5bxXwg (https://epicenter.tv/tipbtc) BCC: 1M4dvWxjL5N9WniNtatKtxW7RcGV73TQTd (http://epicenter.tv/tipbch) ETH: 0x8cdb49ca5103Ce06717C4daBBFD4857183f50935 (https://epicenter.tv/tipeth) Amaury Séchet is the lead developer of Bitcoin ABC, the largest client for the Bitcoin Cash blockchain. Amaury first got started with Bitcoin in 2010 and closely followed the Bitcoin block size debate as it progressed through the early years of Bitcoin. 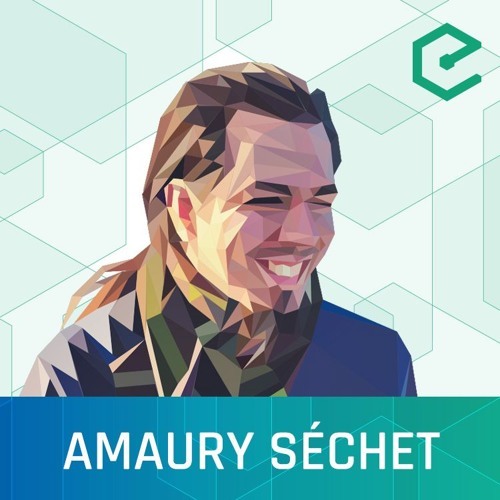 Predicting the eventual failure of SegWit2x, Amaury was part of the original team that helped coordinate the Bitcoin Cash hard fork, timing it with the activation of SegWit on the main Bitcoin blockchain. We discuss with Amaury the roadmap for Bitcoin Cash, especially with regards to their approach to scalability. We cover many of the novel features the Bitcoin Cash development teams are innovating on such as Canonical Transaction Ordering and Avalanche Pre-Consensus, as well as cover some of the more juicy drama that plagued the Bitcoin Cash community in late 2018, leading to split off of Bitcoin SV. Topics discussed in this episode: - Block Size Debates in Bitcoin - Origins of Bitcoin Cash and the Fork - Year 1 Technical Development of Bitcoin Cash - Bitcoin ABC vs Bitcoin SV - Future Roadmap Links mentioned in this episode: - Bitcoin Cash Roadmap: https://bit.ly/2GQvoir - Graphene Whitepaper: https://bit.ly/2zo4c5R - Avalanche Post-Consensus: https://bit.ly/2R8NJvS - The Case for Canonical Transaction Ordering: https://bit.ly/2Enwm1Z - Bitcoin ABC vs Bitcoin SV Hashwar: https://bit.ly/2SsciRr - Bitcoin NG Episode: https://bit.ly/2NxiqXr - EthCC Meetup: https://bit.ly/2EETmel Sponsors: - Azure: Deploy enterprise-ready consortium blockchain networks that scale in just a few clicks - http://aka.ms/epicenter This episode is also available on : - Epicenter.tv: https://epicenter.tv/276 - YouTube: http://youtu.be/WF_qe3gAGek - Soundcloud: http://soundcloud.com/epicenterbitcoin/eb-276 Watch or listen, Epicenter is available wherever podcasts are distributed. Epicenter is hosted by Brian Fabian Crain, Sébastien Couture, Meher Roy, Sunny Aggarwal & Friederike Ernst.